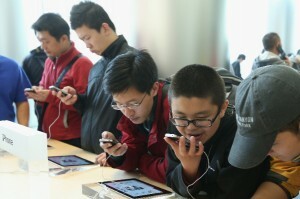 A case against US technology giant Apple’s ‘Siri’ application has begun in a Shanghai court. The application stands accused of infringing upon a Chinese company’s intellectual property rights (IPR). Shanghai Zhizhen Network Technology Co is suing Apple Inc, as well as Apple Trading (Shanghai) Co, over alleged IPR infringement, according to court proceedings. The company has accused five Apple products that run Siri of IPR infringement. Shanghai Zhizhen has asked Apple “to stop manufacturing and selling relevant products”. Apple has denied the accusations, saying Siri goes beyond Shanghai Zhizhen’s IPR, and has asked the court to reject the plea from the Chinese firm. Siri was first launched as an application available in Apple’s App Store in the United States. The application was then integrated into the iOS and introduced on the iPhone 4S in 2011 offering conversational interaction across multiple applications. The court said the case will continue to be heard, but did not specify a future date.